This is a large wildlife preserve and conservation area in southern Africa. The park straddles the border between South Africa and Botswana and comprises two adjoining national parks. Kalahari Gemsbok National Park in South Africa – is situated in the Savanna Biom. It lies within Botswana and the two governments that managed the park and is home to various lion prides led by black-maned males. It also covers an area of 9510sq kilometer. Gemsbok National Park in Botswana is covered by huge tracts of inhospitable semi-desert as no indefinite lodges or camps, but there are three campsites that are located at Twee Rivieren, Mata Mata and Nossob. Moreover, the park is surrounded by shrubs, grasses, and succulents. Getting to Gemsbok National Park: The most convenient way is to ride an airstrip at Tshabong. Upon arrival, it is highly recommended to hire a 4×4 vehicle going to the park as the road is quite rocky and rough. 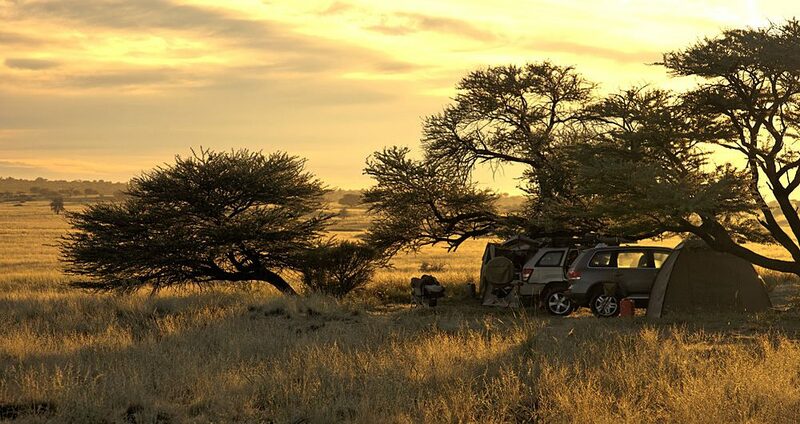 Kgalagadi Transfrontier Park is a wildlife preserve in the Kalahari Desert in South Africa. It is said to be famous for red dunes and dry rivers. The most popular wildlife animals to see here are springbok, black-maned Kalahari lions, and some predators. The Blue wildebeest come after the seasons. The park has the total area of 38,000 square kilometers and approximately three-quarters of this park lies on Botswana and the one quarter remaining lies on South Africa. The word Kgalagadi means “place of thirst“. Witness the migration of herbivorous animals in the park. However, note that the migration is seasonal. Bird watching – witness various species of birds and owls. Some must-see bird species are the pygmy falcon, martial eagle, bateleur, pale chanting goshawk, swallowtail bee-eater, and Kori Bustard. Dunes driving – San driving is one of the most exciting activities to try. In fact, you can do sightseeing trip while riding the 4×4 vehicle.